What happens if the phone rings while shooting a video in the Postwire iOS App? The video will stop recording. The application will save the video at that point and it will be available for uploading. You cannot add to that video within the application. What happens if the phone rings while uploading a video in the Postwire iOS App? The video will continue to upload if the phone rings while the application is uploading. What happens if a text message notification occurs while I am shooting a video in the Postwire iOS App? The notification will not affect video capture. What happens if a text message notification occurs while I am uploading a video in the Postwire iOS App? The video will continue to upload until it completes. What happens if I lose my Internet connection when uploading a video in the Postwire iOS App? The video will not be lost and you can restart the upload process. It is saved in the application and you can access it by tapping Quick Share and Previously Taken. Are videos captured in the Postwire iOS App stored on my device? The videos are stored on the phone encrypted in a special folder only accessible through our application. How do I delete any videos captured in the Postwire iOS App that are still stored in the application? You can delete any videos stored in the Postwire iOS App. Tap Quick Share and Previously Taken, then Edit. 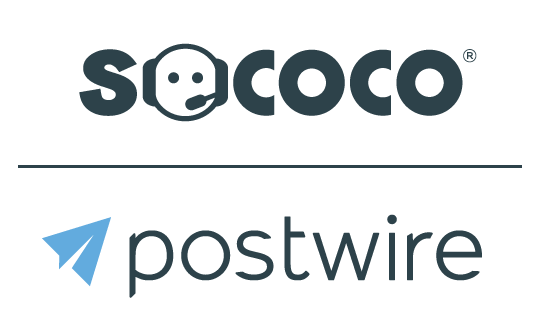 Can I leave the Postwire iOS App during upload? You should stay in the application until the upload process completes. You can navigate through the application, but should not leave the application during upload. If you leave the application during upload, you will be notified that the upload will stop. If the upload does stop the video is not lost and you can go to Previously Taken to restart the upload process. Can I shoot another video in the Postwire iOS App while another video is being uploaded? You can shoot another video in the Postwire iOS App while another video is being uploaded. Can I move within the application after hitting send on a page? You can move within the application once you hit send on a page. Try not to leave the application while an upload is taking place or you will need to restart the upload process. Can I edit the title of the Page after I send the Page? Yes, you can edit the title at any time, including during upload. What happens if the phone goes to sleep during an upload? We prevent the phone from going to sleep during an upload process. What happens if the phone auto lock goes on during a video upload? The auto lock will stop the video from uploading. If you have auto lock set on you can increase the time to auto lock by going to Settings on the iphone (not in the Postwire iOS App). You can set the time of inactivity before the phone locks. Ideally, set it to "never" as this will let all videos to complete uploading.